I want to start buy saying I LOVE MAKENZIE'S REHAB DOCTOR!!!!!! We went in to talk about Botox and a few other things and it went great! Her doctor is so patient and understanding! She listened to everything I had to say and never puts down any of the less conventional things we have tried! She in fact is the only conventional doctor that is super excited about HBOT and the progress Makenzie has made because of it! We also talked a bit about Stem Cell therapy and I still have a lot of research to do on it but I think that she made some very great points on it because she herself has kept up with the research on it and I trust and respect her knowedge! We went ahead and did the Botox in both of her pecks and a little in her left thumb. It should take about 7-10 days to kick in and show results! She seems alot more reluxy and had a bunch more drool today. I began to worry that it could be the Botox so I called her doctor. Did I mention earlier that I LOVE her Rehab doctor!? She called me right back and was once again wonderful! There is just something about a doctor who has tons of patients and lots to do, that calls you right away with a true intrest in you child!!! She didn't think that I had anything to worry about but was also very thorrow to make sure that every issue was addressed and nothing was overlooked! I had also had a few questions that I had forgotten to ask during our appointment and she took time to answer thoughs as well. Therapy was also great. Even though the botox should not have kicked in yet Makenzie was so much looser in her shoulders today. She was using a lot of control and correcting herself much quicker then usual! 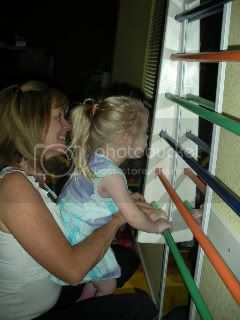 She also worked on sit to stand and Makenzie started the movement several times all by herself! Her sitting continues to get better as well. 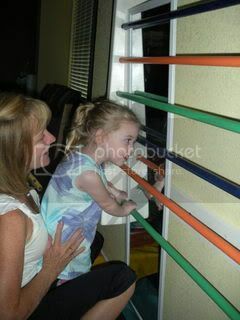 She sat alone 3 times during therapy for about 15 secs! Baby steps! Her goal is 20 sec 75% of times tried! She is almost there!!! Makenzie went to the first movie since her injury today and she loved it!!! Well i guess that is all for tonight! 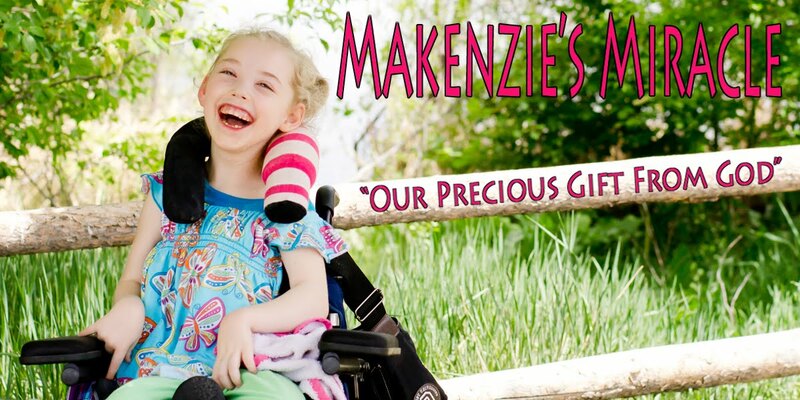 Please keep storming the gates for Makenzie! She is doing great! Prayer Works! God continues to answer and provide for our family!! Thank You Jesus!!! !